In the policy world, a good example comes from a programme known as the Nurse Family Partnership (NFP), originally developed and tested by David Olds in the USA. The programme involves a nursing practitioner befriending and supporting a young at-risk mother from the pre-natal stage through the child’s second birthday. It is a well-validated programme that has been shown to reduce violence and abuse of the child, improve educational attainment and even reduce the child’s rate of offending at the age of 15 compared with children from a similar background who did not participate in the programme (at least in the USA). 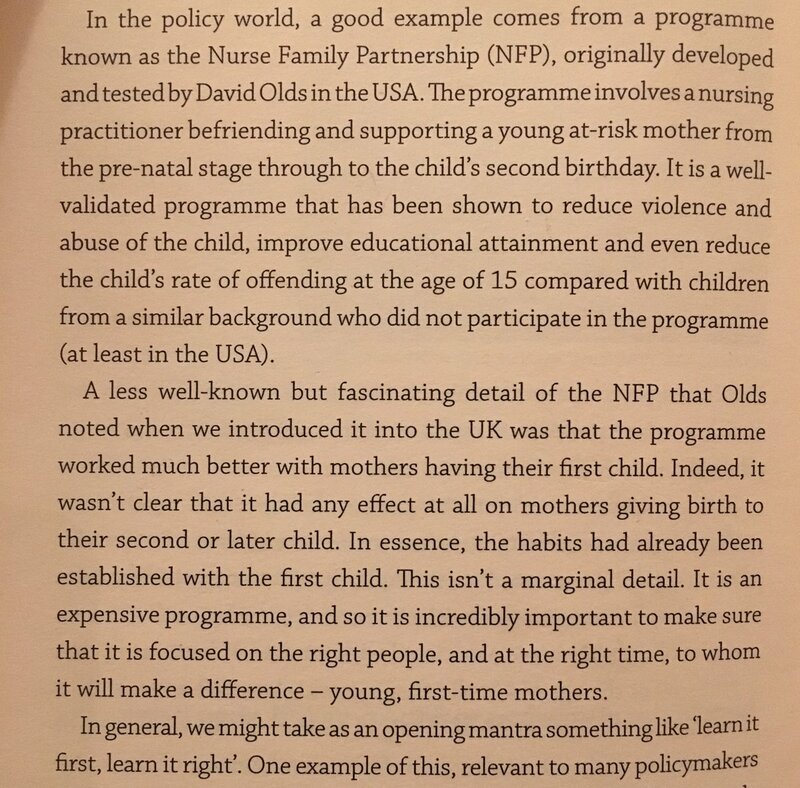 A less well known but fascinating detail of the NFP is that Olds noted when we introduced it into the UK was that the programme worked much better with mothers having their first child. This isn’t a marginal detail. It is an expensive programme, and so it is incredibly important to make sure that is focuses on the right people, and at the right time, to whom it will make a difference – young, first time mothers.